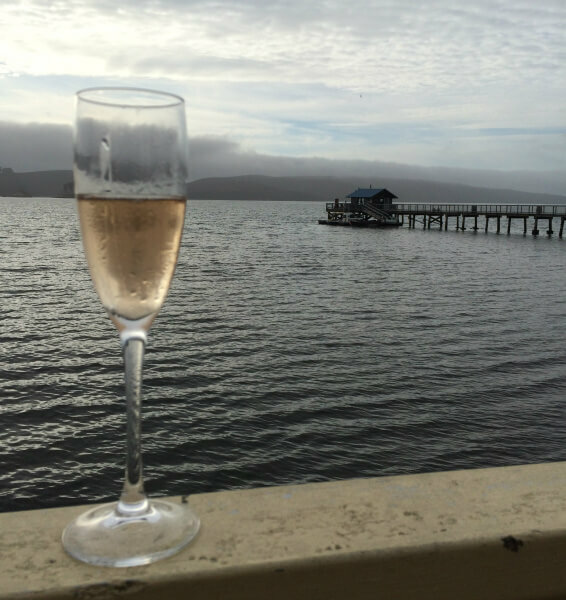 Sixty miles north of San Francisco, tucked into a protected cove on Tomales Bay, Nick’s Cove is a restaurant and guest cottages that perfectly encapsulates life on the coast of northern California. It’s laid back yet luxurious and the sunsets are as phenomenal as the oysters. The Nick’s Cove property contains twelve cottages; five that are waterfront and seven more with water views. They range in size from 287 square feet on up to 787 square feet. 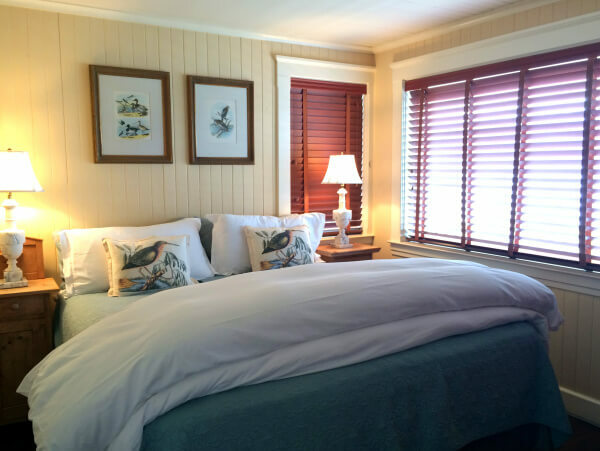 Each one is decorated in a unique way; most have king beds and pull-out sofas and all have wood-burning stoves, heated bathroom floors, soaking tubs, honor bars, plasma TVs, iPod docks, and private decks. 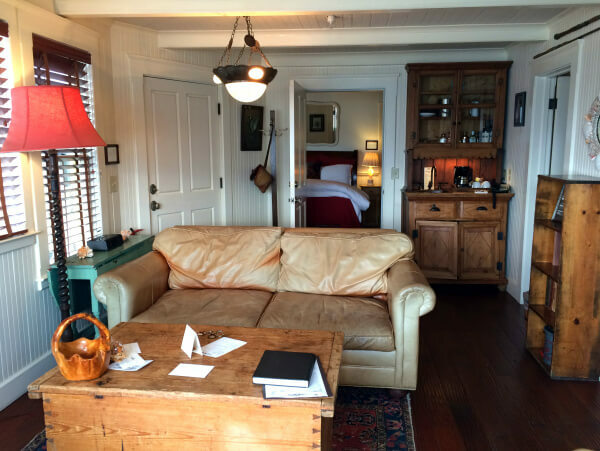 My room, the largest and arguably the most luxurious, was Bandit’s Bungalow, a bright and airy cottage with a cabin-chic aesthetic: wood shutters and wood-paneled walls, hardwood floors, white subway tile in the bathrooms, and nautical accents. Named after the Hollywood bank robber movie, Bandits, which was filmed at Nick’s Cove, this two-room suite is perfect for a group or family, and a fantastically luxurious splurge for a couple looking for more privacy and room to spread out. While the cottage sleeps six people in two separate rooms with King beds plus one sofa bed in the living area, my husband and I loved having the extra space for just the two of us. The 790 sq. 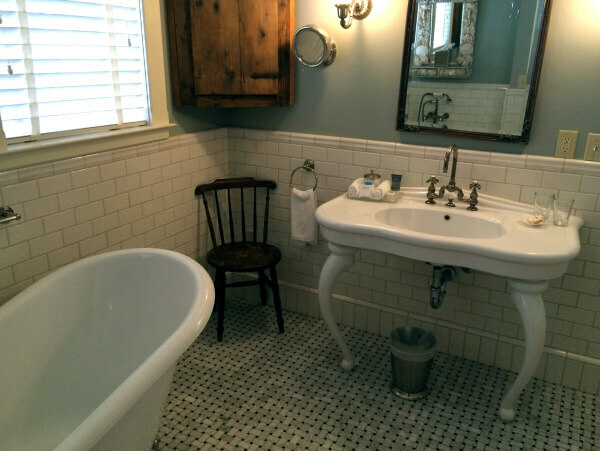 foot cottage has two separate bedrooms – both with deep claw-foot soaking tubs, farmhouse accents, and standing showers (plus those cozy heated floors) – two separate bedrooms, a living room with couch, wood-burning stove, plasma TV, and honor bar stocked with wine, coffee, tea, and spirits. While I loved our cottage’s interior, I liked the exterior even more; our private deck was the perfect place to have a glass of wine and listen to the lapping waves as the fog rolled into the bay. We also took a sunset wander down Nick’s long dock to the oyster bar, where several groups had gathered to toast the end of the day. Later, we headed to the onsite restaurant for dinner, which included items sourced from local suppliers like Bellweather Farms, Strauss Creamery, and Hog Island, as well as from Nick’s own onsite garden, the Croft. The menu focuses on fresh fish, local meats, and seasonal vegetables with a northern California twist. In addition to lunch and dinner in the restaurant, Nick’s also serves breakfast, delivered to each room, in the morning. 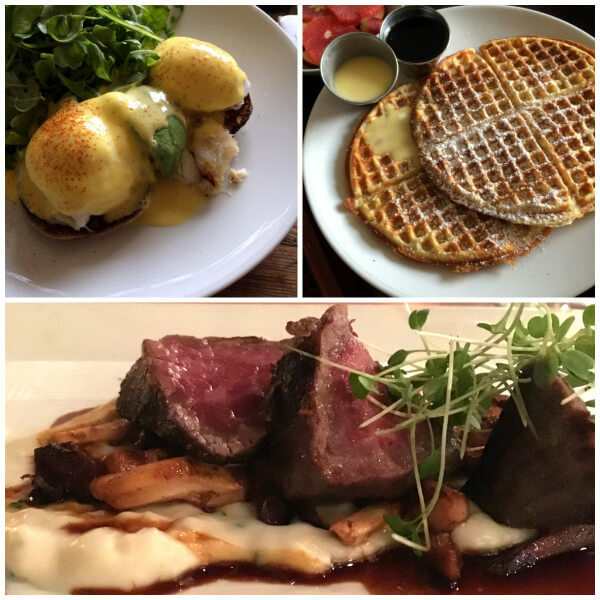 Both meals were exceptional, with fresh ingredients and bright flavors, like lemon-ricotta pancakes and deviled eggs with duck confit. Every guest is also offered a complimentary plate of oysters (or cheese plate) which can be enjoyed at the bar or with a meal. Aside from the bocce ball court in the Croft garden, Nick’s doesn’t offer a whole lot of diversions, and that’s a good thing. 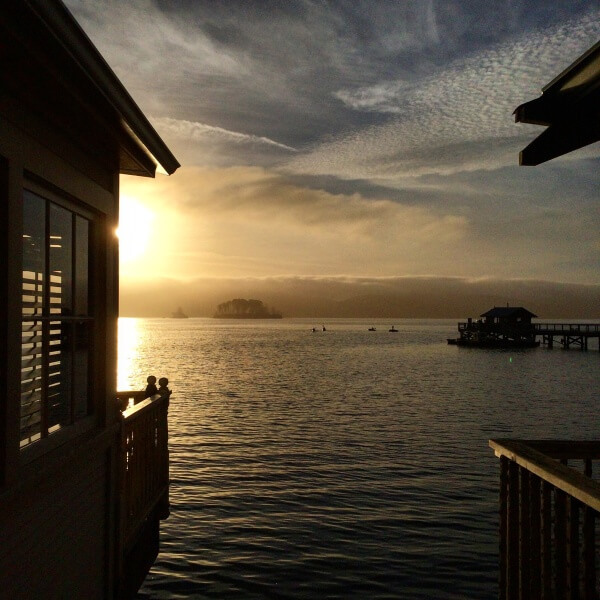 There’s hiking and kayaking nearby, but part of the appeal of visiting Tomales Bay is in simply relaxing and savoring the slower pace of the coast, and a stay at Nick’s allows you to do just that. If you go: Room rates start at around $249 per night. You can make your reservations online at the website. Nick’s Cove is pet friendly in all but four cottages; there is a $50 cleaning fee for each pet, per stay. Cell phone service in the area is spotty, but WiFi is complimentary. You can also check rates and book through Priceline.